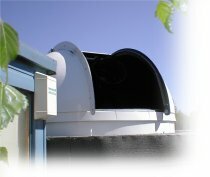 I replaced my home built dome with a smaller 6’ dome from technical innovations. My original had served well for a couple of years but the base ring had started to get water logged and begun to delaminate. Also if I wanted automated observing I needed a way to open and close the shutter remotely. This the TI dome offered out of the box. Overall all the TI dome is well built but the drives are not to the same standard. In an attempt to save a few quid I didn’t buy the digital dome works control system from technical innovation but thought I would build my own. Its pretty simple stuff. The power and polarity of the dome and shutter driver need to be controlled. The dome position needs encoding and home sensed. 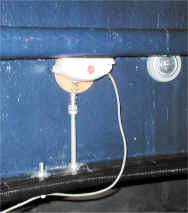 Also on the system is a rain detector. The polarity switching is taken care of by a pair of 30A 12V car relays. 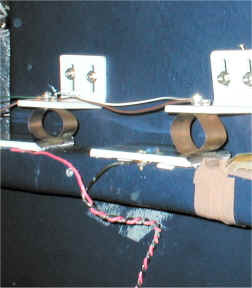 The power to the relay coils is switched by a TIP122 transistor. 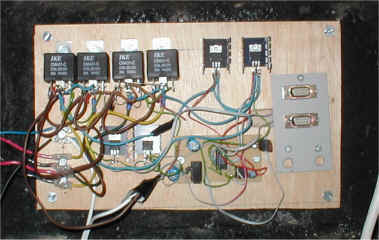 An addition relay could be used to control power to the motors but switching a reasonable current would shorten the life of the relay contacts. Instead a pair of MOSFets are used. 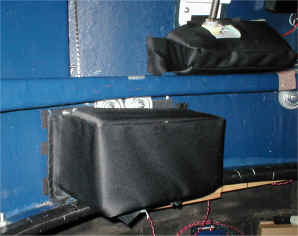 At each end of the shutter travel garage door security magnetic sensors shut off the open and close power. 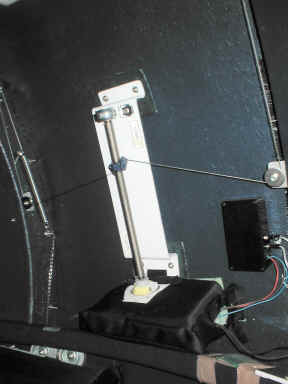 The home position is sensed by shorting across the shutter motor contacts with a 10K resister. When the contacts are over there pickup points 12V is sensed at the source of the MOSFet. Control is by a hand pad or a PC running software described later. The control signals are isolated using optical isolators or in the case of the home sensor a small relay. 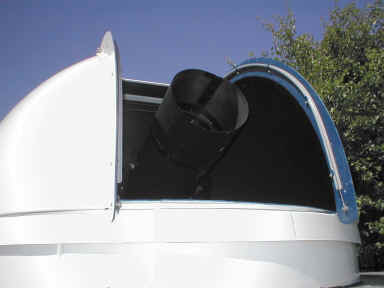 Dome position is encoded by a standard serial mouse with a large drive wheel running on the dome base ring.